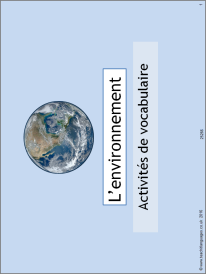 A PowerPoint packed with environmental vocab games: word bingo, find the odd word out, scrambled sentences and a memory game. Perfect for the launching this topic or for revision. Teaching notes provided in Word as well as in the PowerPoint notes.